There are two types of Treecreeper in Europe: the species known simply as the Treecreeper, and the Short-toed Treecreeper. They are very difficult to tell apart although experts can distinguish them by their calls or by slight differences in the colouring of their feathers. 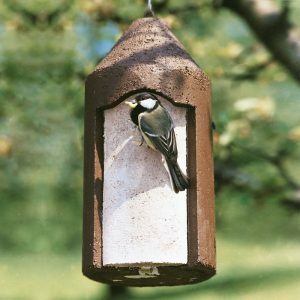 Both species prefer a nest box that allows contact inside with a tree trunk that has a coarse type of bark, such as oak, alder, poplar, pine, pear or apple trees. 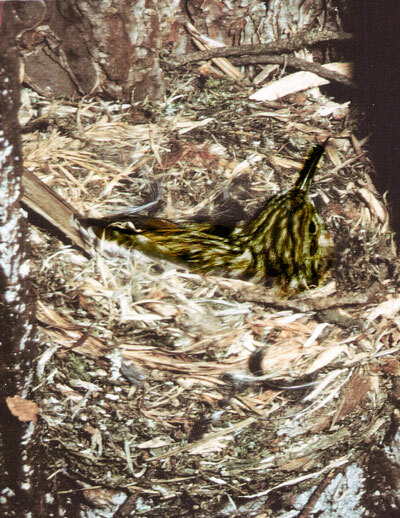 For this reason the Treecreeper boxes are open at the rear (the tree side). With their pointed beaks the Birds can search among the cracks in the bark for spiders and insects such as Beetles. The entrances, on both sides, provide excellent protection against Cats and Martens. 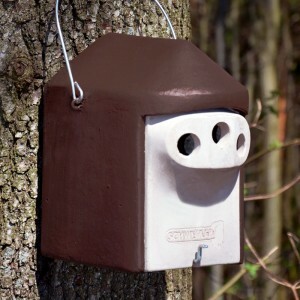 The nest boxes should be hung on trunks with a diameter of between 25 and 30 cm. Depending on regional conditions, there may be differences in the rate of occupancy between the 2B and 2BN. We therefore recommend that you begin by using the same number of both types. After one or two breeding seasons it will be apparent which type is most popular in a particular area. 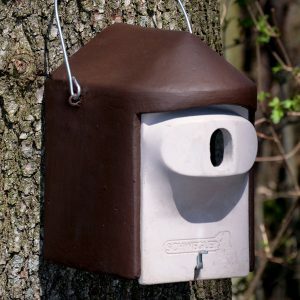 This Treecreeper Box is supplied with a removable front panel for simple inspection and cleaning purposes. The interior can therefore be checked very quickly. The nest box is attached to the tree trunk using two flexible oak mounting blocks and Aluminium Nails. This ensures that it is firmly held in place and allowance is made for the continued growth of the tree. Suitable tree diameter approx. 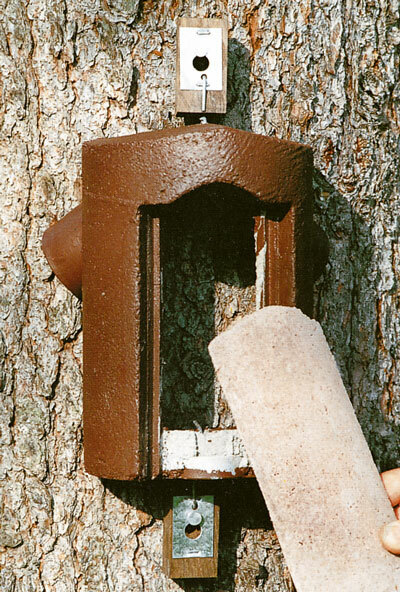 25 – 30 cm, to ensure that the Nest Box fits well against the trunk. 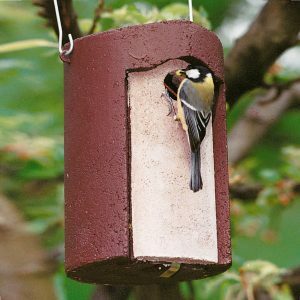 Material: SCHWEGLER Wood-Concrete Nest Box. External dimensions: approx. W 22 x H 26 x D 15 cm. Nesting chamber: approx. 8 x 12 cm. 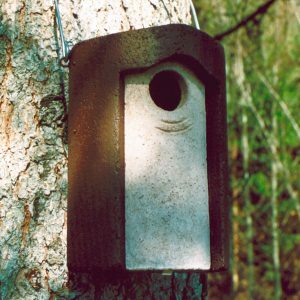 Supplied: Nest Box, two mounting blocks, two aluminum nails. Mounting blocks, front panel and aluminum nail are supplied but can also be ordered as spare parts (see products/accessories).